Join The Guitar Sanctuary as we present a special evening with Eddie Trunk for evening of rock stories, Q&A, and live Stump The Trunk on Thursday, March 29th at 8pm. Eddie will tell stories from his over 35 years in rock radio and television, as well as host a Question and Answer session, and take questions from the audience for his famous "Stump The Trunk!" segment from his hit VH1 Classic show "That Metal Show". 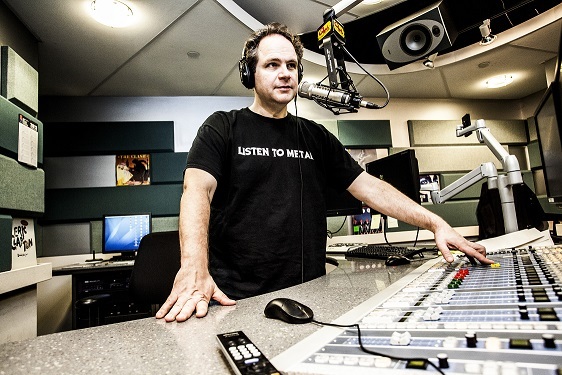 Eddie Trunk is a 35 year music industry veteran who has built a reputation for being one of the most respected personalities in the world of Hard Rock and Heavy Metal. Eddie has spent time as a record executive and has also worked in artist management, but has really found his calling as a broadcaster. In August of 2017 Eddie signed on to host a new series for AXS TV that will debut in early 2018.